As the George Clooney project Monuments Men, based on the work by Robert Edsel, finally nears its release on February 7th, it may be worth revisiting a 1964 masterpiece. How many men should die to save a work of art? How much money should be devoted to its protection and preservation? The Train forces us to consider our answer. Set in 1944, in the final days of the war, the conflict has all but been decided, and the question raised by the film is not the simple question of whether a Monet or Braque should be worth the sacrifice of human lives, but a more complicated question. 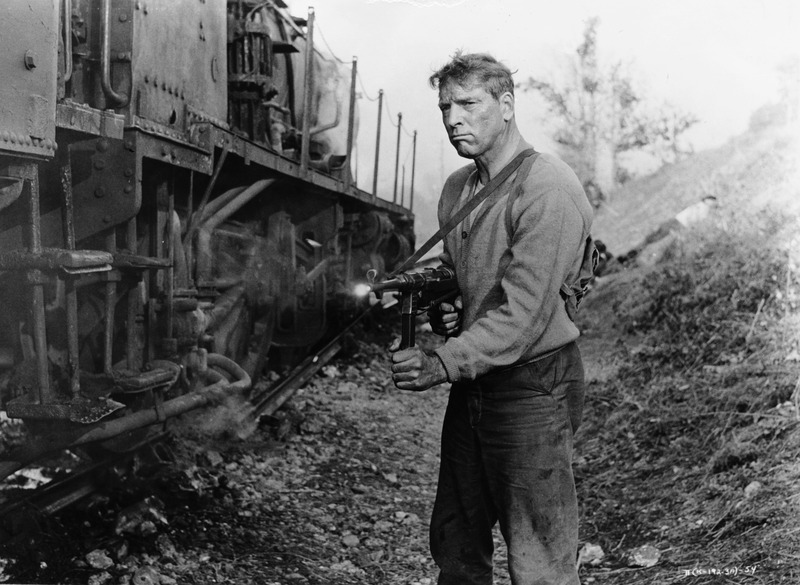 Director John Frankenheimer asks the audience to consider how many men and women should die to keep the works in France at the end of a long and deadly struggle. The film weighs the lives against innocents, against enough money to equip “ten panzer divisions”, and against the lives of French resistors. The result is one of the very best anti-war films. A never-better Burt Lancaster plays Monsieur Labiche, a grim and determined figure. We never learn his first name. His German foes spit Labiche as an insult at every act of sabotage. He is a determined French resistance fighter—not at all a heroic lover of art saving France’s national cultural patrimony. He carries the weight of the war and all the lives lost. By the end of the film his character is hobbled, limping along on an injured leg; barely able to run. There’s plenty of irony in the notion of a stoic, beefy, anti-intellectual tough guy saving paintings by people he’s probably never heard of, and the film doesn’t skimp on the dark humor of the situation. (“Labiche!” cries Von Waldheim, during one of his many face-offs with the brawny railroad man, “Those paintings mean as much to you as a string of pearls to an ape!”) . . . Though The Train claims a connection to history, it’s a tenuous one: As detailed in Rose Valland’s source book, Le Front De L’Art, the Nazis did indeed load a train full of paintings, but what kept it in France was the Resistance’s cunning use of bureaucratic obstacles—not exactly the stuff of a box-office hit. 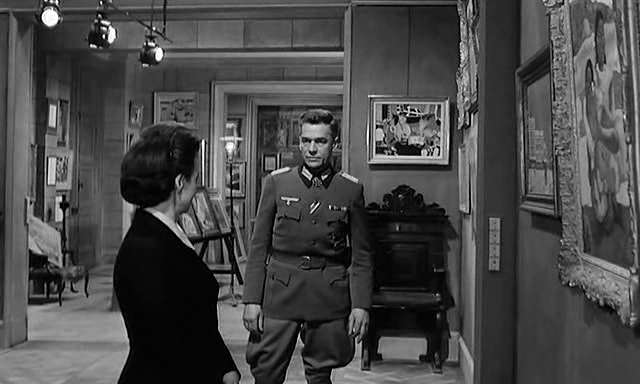 But by externalizing the conflict, Frankenheimer set a path for others to follow. He called it the last great black-and-white action movie, but it feels more like a beginning than the end of the line. Despite the departure from history the film carries emotional honesty. We still grapple today with the question of the value of art. How much money? How important to a city? How much should we devote to save saving art in a world of limited resources? Italy has even asked its citizens which of eight artworks it should save in a facebook program called L’Arte Auita L’Arte (Art Helping Art). The Train has the grim railyard bureaucrat/resistor Labiche making that difficult decision, not the cultured German Colonel. The film forces us to ask what lengths we would go to save this art. And not only save it, the art is only at risk of destruction when the resistors sabotage the train on its way to Germany. The implication is that the Germans will treasure and care for these works, they are fighting for retention of the art in France.